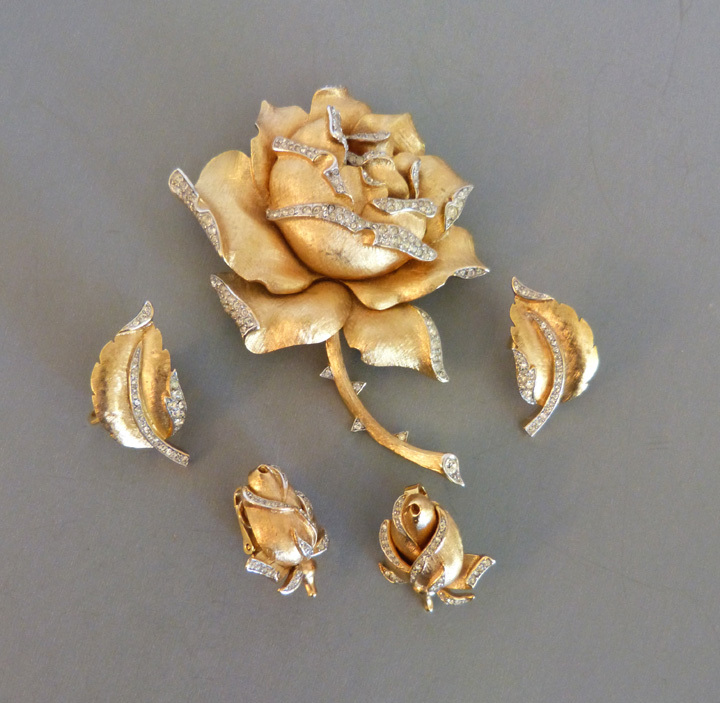 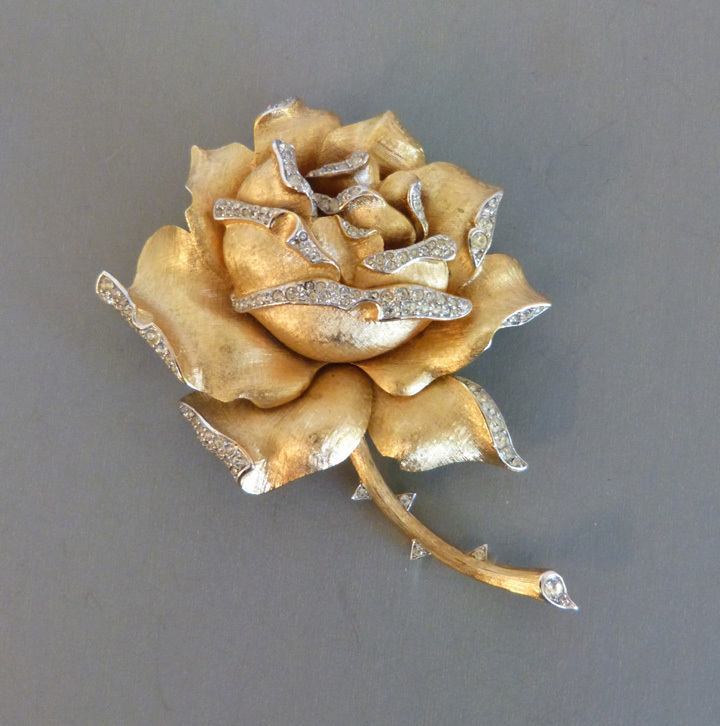 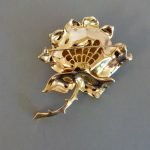 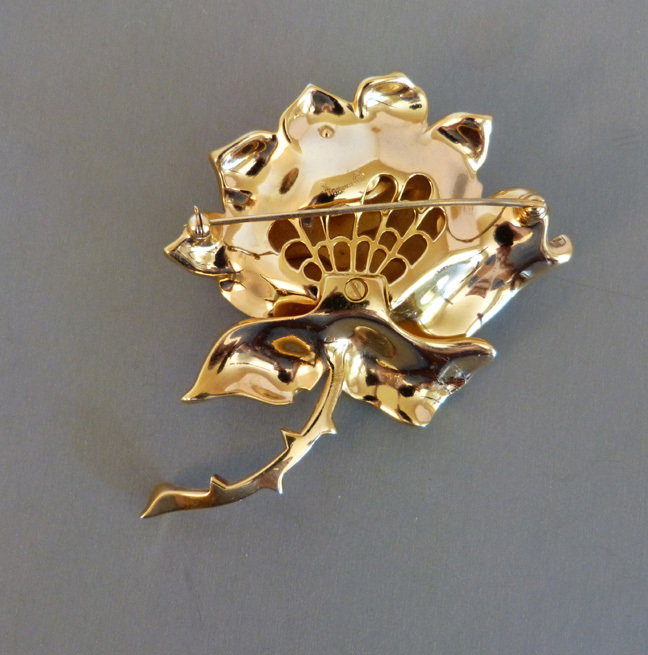 TRIFARI clear rhinestones and brushed gold tone rose brooch with two different styles of earrings to go with it, a rose bud and a leaf set. 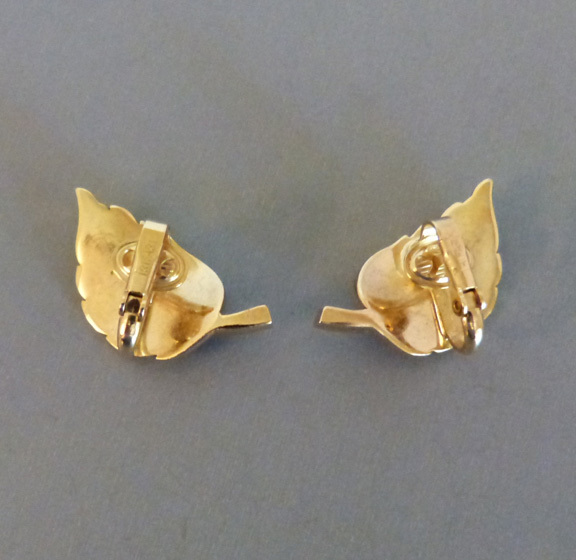 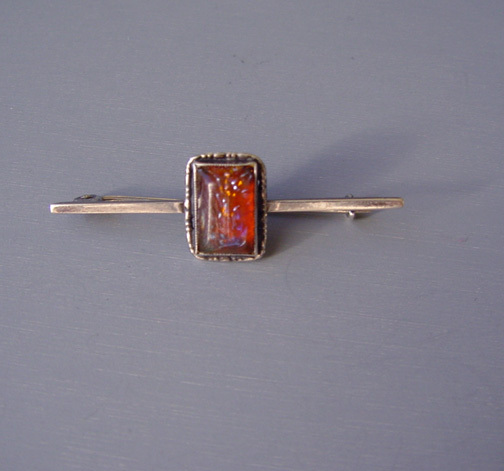 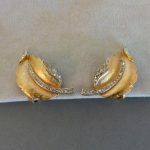 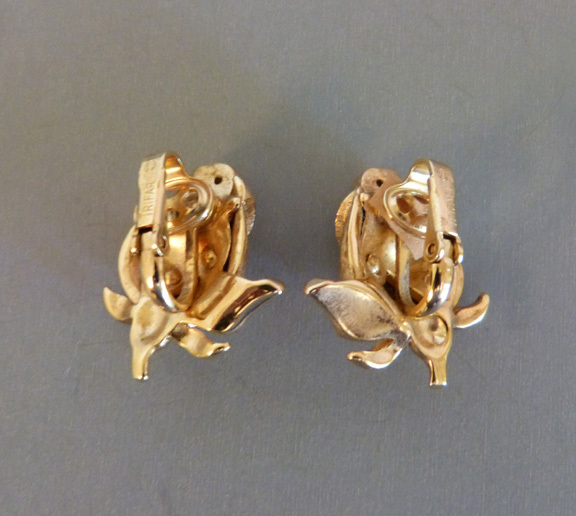 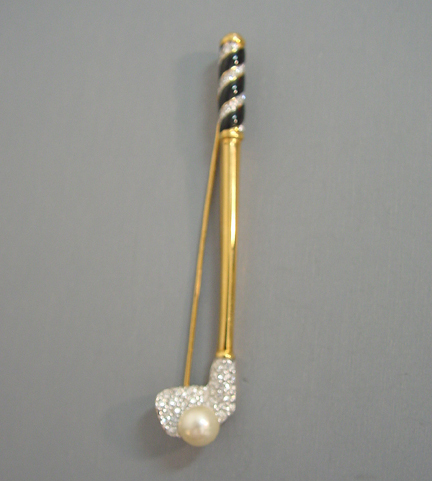 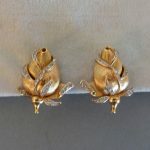 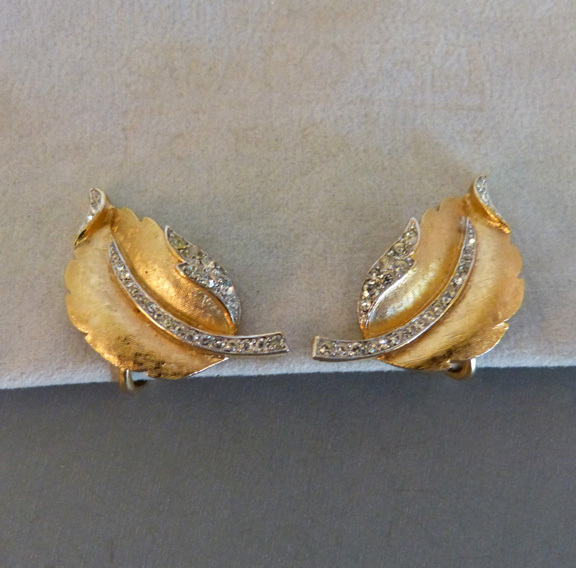 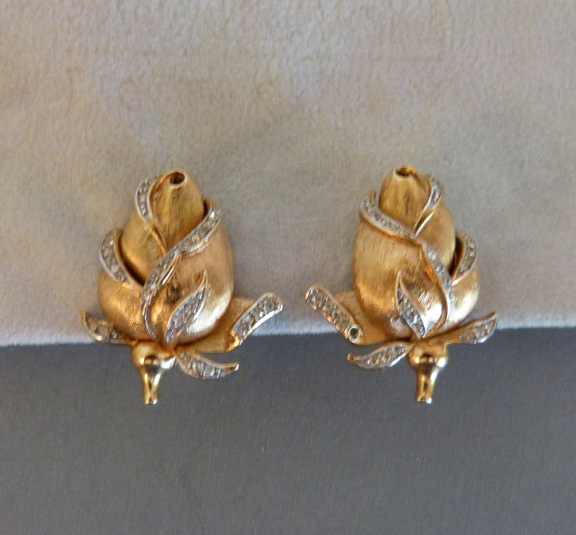 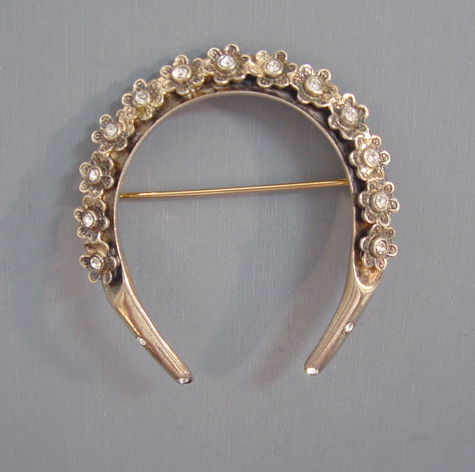 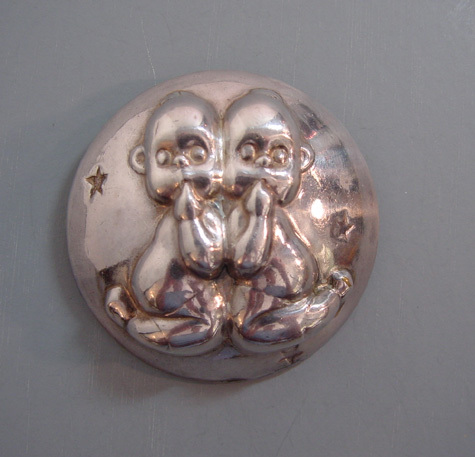 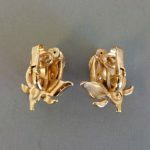 The pin is 3-1/4" and clip back earrings are each 1". 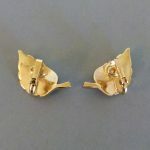 This is a set with a very three-dimensional construction and extremely well made.